Ten years ago, YouTube sparked a revolution in how video content was used for marketing. Before YouTube, video was solely a tool for trade shows, sales people showing them in meetings and television advertising. 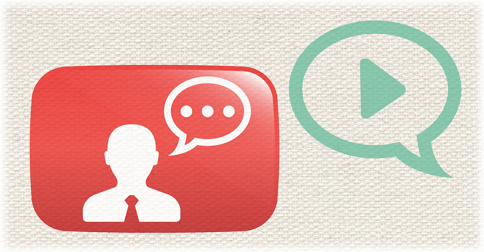 There was no easy or effective way to distribute video content online prior to YouTube. If you wanted video on your website, it meant embedding a QuickTime or some other video format on your website and it likely wouldn’t play on everyone’s computer. It also took a while to download depending on your connection speed to the internet. So video, for the most part, was useless online. YouTube made it really simple to share video content by simply sharing a link to the video. It made it easy to embed on your website or blog, which at the time, was the hub of a brand’s social interactions. With the explosion of Facebook a few years later you also had the ability to reach more passively interested people with video content. Marketers also learned that video content had to be created differently to engage viewers. No longer could they use the push tactics of television advertising, on social channels like YouTube and sharing videos on Facebook and Twitter. To ignite a conversation with content, it needs to engage the viewer on a personal level. YouTube was a big reason behind the move from a top down, one way communication, sales culture that brands previously employed to what we know today. Now consumers purchases are driven by search and research online. Consumer’s friends and online network now have a bigger influence than ever on purchasing decisions and brand’s are leveraging their video content in new ways through social marketing. Today Facebook is beginning to give YouTube a run for it’s money with how it leverages video content by offering more dynamic call to actions to help brands leverage better technology to engage viewers online. YouTube, however, is still the 2nd largest search engine in the world while Facebook content in not indexed by search engines. So things are getting interesting on the social video front. Whether you’re utilizing social video marketing on Facebook, Twitter, LinkedIn, Yelp or YouTube, you now have the power to reach consumers and interact with them more meaningfully than ever before. The shift in social video marketing that YouTube began has forced brands to take a firm look at what they are saying, how they are saying it and in general to evolve their businesses. That is a good thing. What about you? How has social video impacted how your brand engages online?